It always surprises me that my kids like oatmeal as much as they do — maybe because I never liked it growing up. Who knows! Now as an adult, I love homemade oatmeal and frequently make it for our family since we all love hot breakfasts! 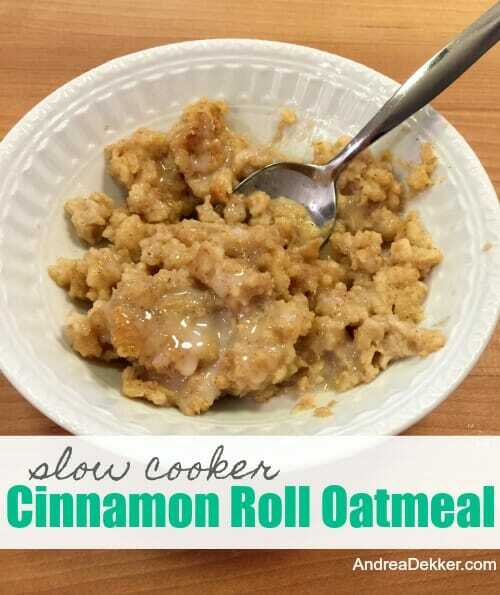 Today’s recipe for cinnamon roll oatmeal is definitely a family favorite — and since I make it in the slow cooker, it’s SO easy! Recently, I’ve been making this on Saturday mornings when I get up early (with Nora) to get groceries. I have it all mixed up the night before (in the fridge), then I turn the slow cooker on around 5:30am so the oatmeal is completely ready to go by the time we arrive home at 7:00. Either way, if you’re looking for a really delicious twist to traditional oatmeal, this cinnamon roll oatmeal recipe is for you! 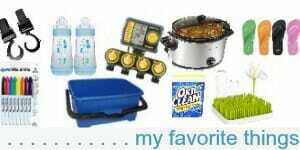 Spray a slow cooker with non-stick cooking spray (I use my small 4 qt. slow cooker). 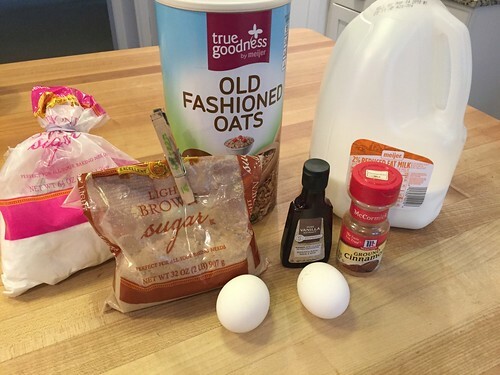 Add all the oatmeal ingredients and mix well with a fork. Cook on high for high for 1-2 hours or on low for 3-4 hours. In a small bowl, mix powdered sugar, milk, and vanilla until smooth (add more milk if necessary for desired consistency). Set glaze aside until oatmeal is finished. 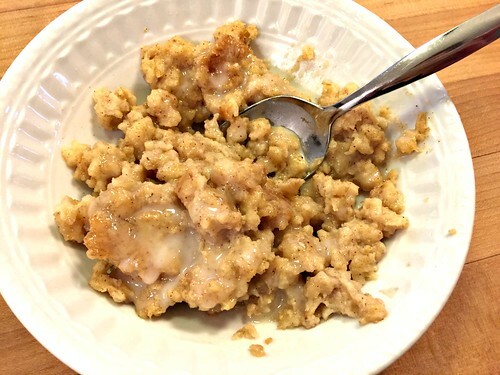 Serve oatmeal with glaze drizzled over the top and with a sprinkle of cinnamon sugar! I know there are all sorts of overnight oatmeal recipes, but they usually use steel cut oats (which our family doesn’t love) so since I use traditional rolled oats, it cooks much faster. You definitely can make this overnight; it will probably just be a little mushier than if you used steel cut oats. Personally, I like the fact that I can have this ready in just over an hour (when I cook it on high). Then I simply leave it on warm throughout the morning so everyone can enjoy hot oatmeal whenever they decide to wake up for the day — or whenever we get back from the grocery store. 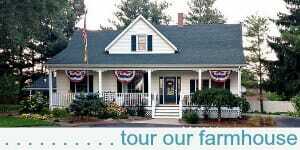 This would be perfect for those of you with teens who like to sleep in on Saturdays. Simply turn it on when you wake up, and it will be ready by the time they wake up! What is your favorite type of oatmeal? I’ve made this many times and my family loves it! 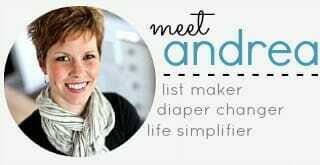 We leave out the egg (egg allergy), and use almond milk, and it’s delicious! We made it again this morning and I left out the egg (just to see) and it was great! Do you think this recipe could be adapted for the instapot? I’m wondering how long it would need to cook. I just received one as a birthday gift and am having fun trying out new recipes! Just look up any oatmeal recipe and go based on those instructions. Oats are cheap, if you mess up, there’s not much lost! haha — I guess because it’s never busy at that time and everyone else is still sleeping so I don’t have little kids in the cart. I’ve always been a morning person and Nora LOOOOOOOOOOVES waking up early to go with me all by herself! We don’t do it every single Saturday, but quit often! 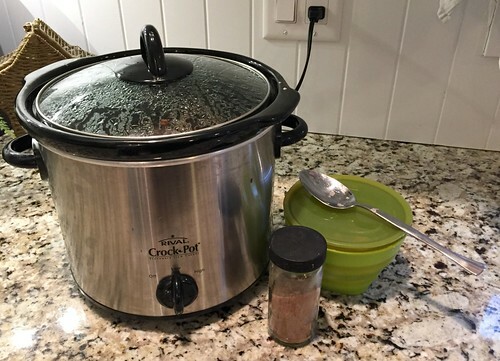 Do you take the crock directly from the refrigerator and place into the heating portion of the crockpot or let it sit on the counter for a bit? Looks delicious! Yup, directly from the fridge to the slow cooker! Have you ever mixed it up in the fridge the night before and put it in the slow cooker the next morning? I get up at 5 to teach online, so that would be great for them to eat at 7 when their clocks turn green. yes… that’s exactly what I do! Sounds like it should work for you too! Do you use the quick cooking oats (boil for 1 minute) or the 5 minute oats? nope, I think I listed “traditional oats” or “old fashioned oats” in the recipe. In my opinion, you would not want to use “quick” oats in a “slow” cooker recipe — they would be very mushy!